THPBlog: Tree Sitters Protest Sierra Pacific Industries (SPI) Clearcut Logging. Tree Sitters Protest Sierra Pacific Industries (SPI) Clearcut Logging. 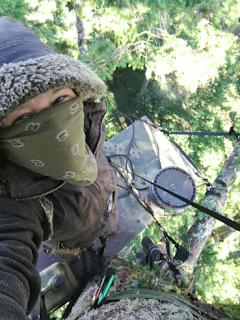 Humboldt County, CA—After putting up a tree-sit 100’ high in an active Sierra Pacific Industries‘ (SPI) logging plan last Thursday, about a dozen forest defenders were on the ground in the plan this morning, resulting in the shutting down of the logging activity. The timber harvest plan (THP) is in the Rainbow Ridge area in the Mattole River watershed in Humboldt County, site of a long-running, multi-pronged campaign to preserve the legacy forests there under Humboldt Redwood Co. (HRC) ownership. Nearby HRC land is the SPI plan, near Taylor Peak on the North Fork of the Mattole River, and is the “Pig Mat THP 1-12-032 HUM”, according to CalFire. Logging trucks on site, attempting to move huge Douglas Fir and Tanoak logs, have left the forest area, about 17 miles in from county roads, and have not returned.